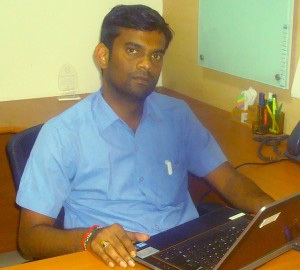 Praburaman Rengaramanujam will oversee quality systems at all MMI locations. Stevensville, Md., June 23, 2015 — Michigan Manufacturing International (MMI) is pleased to announce that Praburaman Rengaramanujam was recently named Global Quality Manager. In this role, he will be responsible for quality systems at all MMI locations. Praburaman has 14 years of experience in the quality assurance industry and specializes in quality management systems, measurement system analysis, and statistical process control. He holds a Master of Science in Quality Management and is a qualified internal auditor for ISO9001:2008.